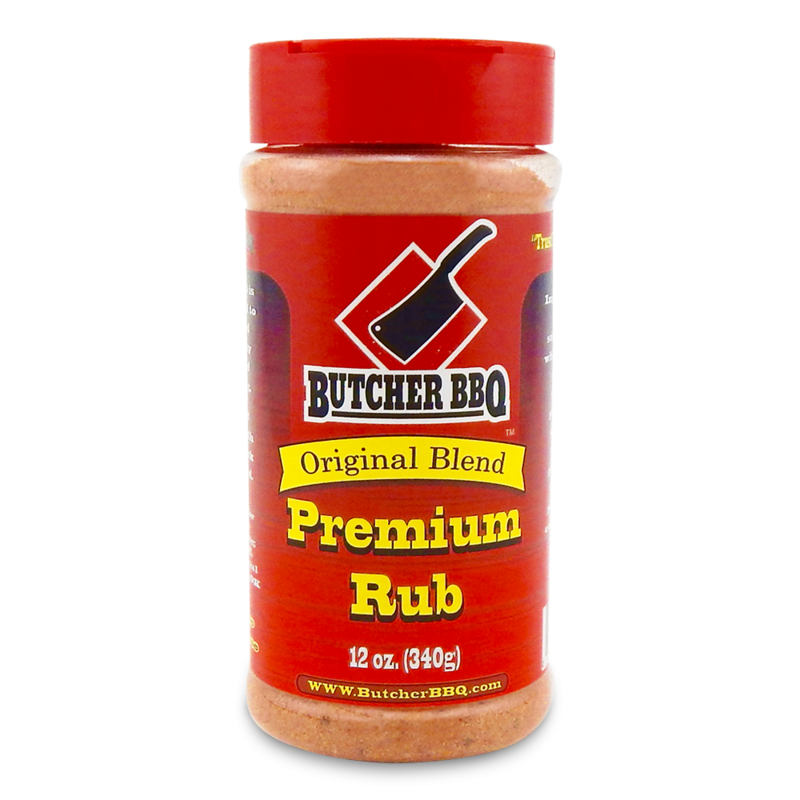 Butcher BBQ Premium BBQ Rub is an award winning rub that’s used by BBQ cooks everywhere, from competition BBQ cooks to backyard barbecue cooks for its amazing flavor. This premium BBQ rub is popular for its sweet taste that’s backed up with the right blend of peppers that compliments all cuts of meat - including beef and pork. The secret blend of spices enhance the natural flavor of meat while allowing it to retain all of its juices resulting in perfectly tender meat. 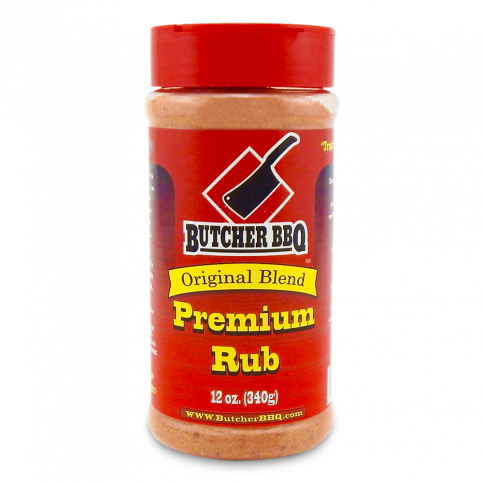 The combination of Butcher BBQ's Injections and Butcher BBQ's Premium BBQ rub have been proven to be winners in the barbecue competition circuit time and time again. Get award winning BBQ results with the help of Butcher BBQ. Sugar, Salt, Spices including paprika, dextrose, dehydrated garlic, celery, no greater than 2% silicon dioxide, and tricalcium phosphate to prevent caking, and spice extractive. This is my favorite out of all the rubs I've tried. I'm always trying new rubs, but always come back to this one. The butcher knows best!